I am excited to announce my first solo exhibition, WaterLand, in San Francisco. 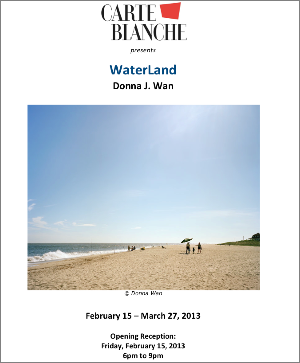 This exhibition at Gallery Carte Blanche highlights work from my Promised Lands, In the Landscape, and other projects around the theme of water and the landscape. Reception: Friday, February 15, from 6pm - 9pm.